All it took to draw the US Justice Department into investigating Tesla was a single tweet by chairperson Elon Musk. But now that prosecutors have a toehold, they can dig in to look for other signs of misconduct at the electric-car maker. The investigation is in its very early stages and where it leads is anyone’s guess. Many securities fraud probes over the years have started with a bang like the one that knocked as much as 6.6% off Tesla’s shares with Bloomberg’s report of the probe on Tuesday. Some of those are flash news reports that trickle off without charges. At the other extreme are companies like Theranos, which pumped up its valuation with what the government said were false promises, leading to charges against founder Elizabeth Holmes and another senior executive. "Criminal investigations are never good if you’re a public company because they open up a Pandora’s box and prosecutors will follow threads wherever they lead," said Paul Pelletier, a former Justice Department prosecutor. Tesla said it’s cooperating with the Justice Department, noting that it received queries but no subpoena. The initial scrutiny surrounds Musk’s tweet on August 7 that he had money lined up to take the company private. Shares jumped. Later, he and his board said there was no formal proposal for the funding and they abandoned the plan. The Securities and Exchange Commission quickly opened a civil investigation into the tweet and issued a subpoena for information, people familiar with the matter told Bloomberg.That was followed by the Justice Department probe. Neither the SEC nor federal prosecutors have accused Musk of any wrongdoing. To prove criminal securities fraud, prosecutors would have to show not only that Musk’s statements were false, but that they were made willfully. That would require establishing that Musk purposely planned to inappropriately drive the shares higher or prevent them from going lower. One area investigators would look for such evidence is in emails or other internal documents, according to former federal prosecutors. The “funding secured” tweet did in fact trip up bearish sellers when the company’s shares rallied more than 10%. Government investigators will be trying to determine whether there was any connection to that statement and his desire to hurt short sellers. Under securities fraud laws, prosecutors could go back five years and more if they find evidence of a conspiracy. Very often what starts out as an investigation of one subject takes a completely different turn, said Michael Koenig, who prosecuted former Qwest CEO Joseph Nacchio for insider trading. "When we were investigating Qwest, we initially thought there were accounting fraud and revenue recognition type issues," said Koenig, now a partner at Hinckley, Allen & Snyder. "As we started digging into it, however, we realised, ‘Wait a minute. Joe Nacchio is selling large amounts of his stock at the same time he’s telling the general public that the company is doing great, when he knew it was not.’"
Nacchio served four years and five months in prison after his 2007 conviction in the case. A more recent example, according to Koenig, is the Hillary Clinton email investigation, which was reopened by the FBI after agents came across possible undiscovered evidence while investigating former New York congressman Anthony Weiner for sexting with a minor. The lack of a subpoena from the Justice Department doesn’t mean its investigation is limited, according to Pelletier. Prosecutors can piggyback on the SEC’s subpoena to get a hold of whatever information Tesla discloses, obviating the need to issue a grand jury subpoena of its own, he said. "That’s the normal course of action when the SEC has already issued a subpoena," Pelletier said. 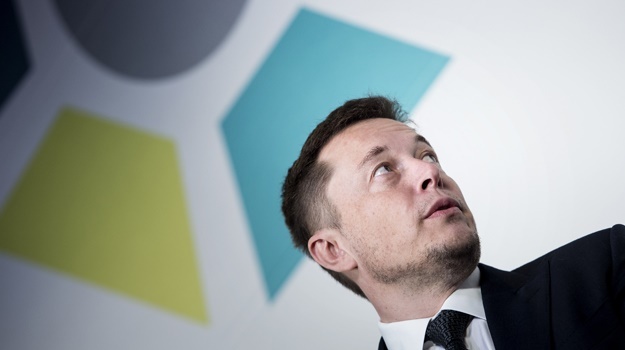 The SEC already was investigating whether Musk’s vehicle production forecasts misled investors before the regulator started scrutinising whether he had secured funding for a Tesla buyout, Bloomberg News reported on August 9. Some of Musk’s predictions have been way off. Musk said during a May 2016 earnings call that, during the second half of 2017, he expected Tesla would produce 100 000 to 200 000 Model 3 sedans - the lower-priced car that’s pivotal to the company generating profit. Tesla ended up building fewer than 3 000 Model 3s in last year’s second half. The Justice Department’s interest in Tesla isn’t good for investors, who saw the company’s share price drop just after the investigation was revealed. But the probe doesn’t mean that Palo Alto, California-based Tesla will go the way of Theranos. Unlike Theranos, Tesla manufactures popular automobiles. While the SEC and the Justice Department might find that the company and some of its executives exaggerated Tesla’s financial performance, government officials would probably be hesitant to inflict a critical blow on a company that employs more than 35 000 people globally. The nature and depth of any exaggerations by Tesla will ultimately determine how the company is treated. If Musk’s conduct at Tesla is deemed to be a case where the CEO’s unregulated passion led him to hyperbolic claims, the resulting penalties are likely to be serious, but measured. But if evidence emerges that a win-at-all-costs mentality from the top led some executives to cook the books, the penalties could be severe.